Katharine Hamnett is the brand created to express traditional British Classic design with her own feeling. Ms. Hamnett pursues environmental problem, racism or political issues and turns her concept into the collection such as shoes upper with vegitable-tanned leather or shoes box with recycled paper. 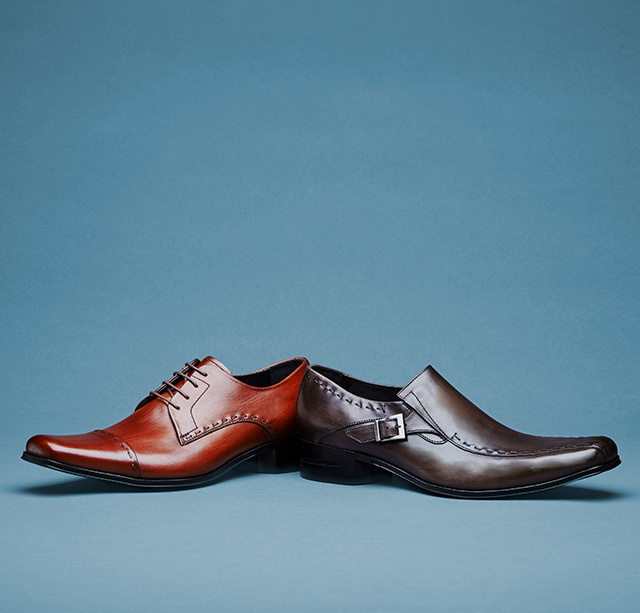 Shoes with a featured colour make it possible to coordinate with either formal or casual wear. Its avant-garde design is welcomed whenever it launches new collection.